Load the Font Template from the top-right drawer icon. Unlock the layer named Characters (template) and select all objects. Change Opacity to 100% to ensure they show up entirely. 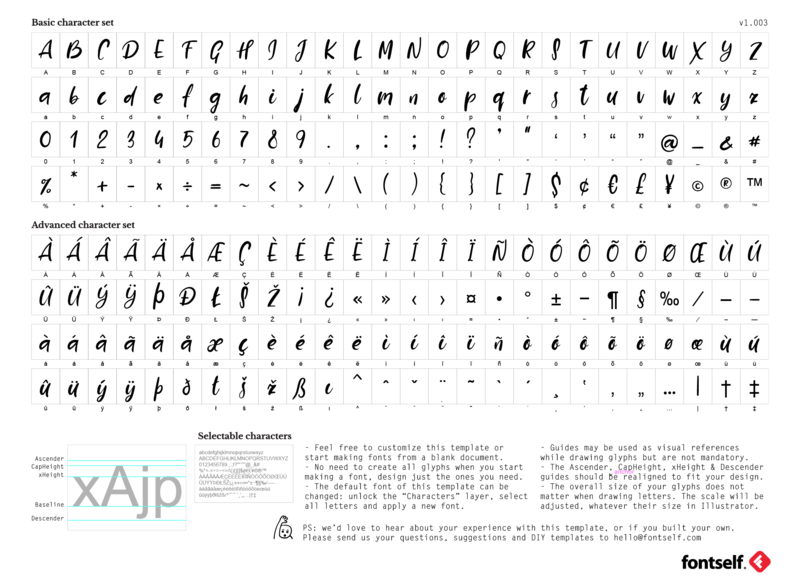 Apply your custom font using the Character Panel. 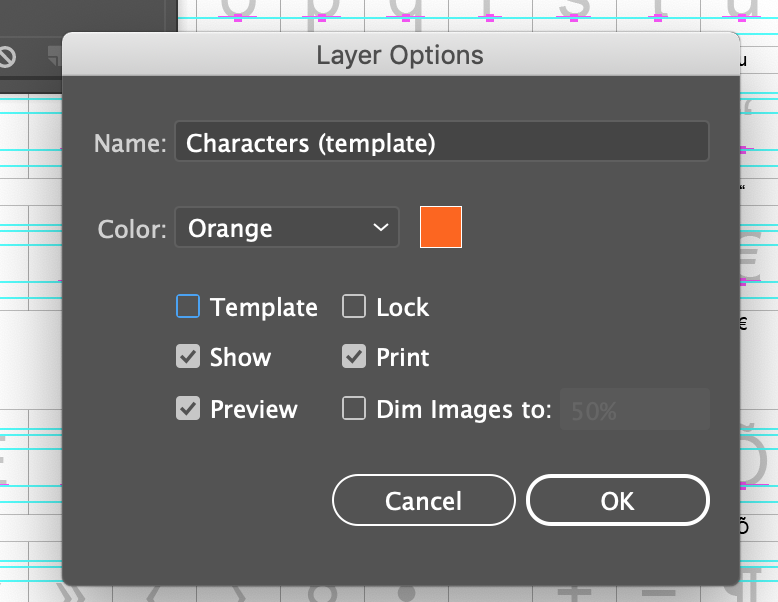 And uncheck the Template option from the Layer options to ensure you can print the specimen. You can of course also rename all characters and customize the specimen to fit your specific needs (and shoot us a message so we can hear about the custom templates or specimen you need).